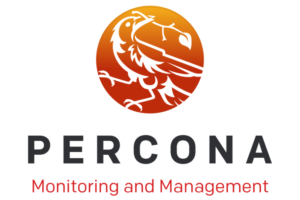 Percona announces the release of Percona Monitoring and Management 1.7.0. (PMM ) is a free and open-source platform for managing and monitoring MySQL and MongoDB performance. You can run PMM in your own environment for maximum security and reliability. It provides thorough time-based analysis for MySQL and MongoDB servers to ensure that your data works as efficiently as possible. This release features improved support for external services, which enables a PMM Server to store and display metrics for any available Prometheus exporter. For example, you could deploy the postgres_exporter and use PMM’s external services feature to store PostgreSQL metrics in PMM. Immediately, you’ll see these new metrics in the Advanced Data Exploration dashboard. Then you could leverage many of the pre-developed PostgreSQL dashboards available on Grafana.com, and with a minimal amount of edits have a working PostgreSQL dashboard in PMM! Watch for an upcoming blog post to demonstrate a walk-through of this unlocked functionality. PMM-1949: New dashboard: MySQL Amazon Aurora Metrics. PMM-1712: Improve external exporters to let you easily add data monitoring from an arbitrary Prometheus exporter you have running on your host. PMM-1510: Rename swap in and swap out labels to be more specific and help clearly see the direction of data flow for Swap In and Swap Out. The new labels are Swap In (Reads) and Swap Out (Writes) accordingly. PMM-1966: Remove Grafana from a list of exporters on the dashboard to eliminate confusion with existing Grafana in the list of exporters on the current version of the dashboard. PMM-1974: Add the mongodb_up in the Exporter Status dashboard. The new graph is added to maintain consistency of information about exporters. This is done based on new metrics implemented in PMM-1586. PMM-1967: Inconsistent formulas in Prometheus dashboards. PMM-1986: Signing out with HTTP auth enabled leaves the browser signed in.